Montes Chilean Wine Tasting with Special Guest with Commercial Director Carlos Serrano and I'm working five nights this week!! I think we have plenty of wine but they only make so many bottles of each wine so you eventually run out. That’s why were trying to drink as many of the great bottles that we have in the store as quickly as possible. This week we have an Olympic line-up of events and winery personalities in the store. I like working 5 nights a week when I'm drinkin like this!! This Loire-style Sauvignon Blanc from Montes estate in Chile was a winner for the gang at Eton Vintners. A wow factor nose of intense prickly nettles and greengages with a palate of lime, grapefruit and passion fruit notes. Crisp and refreshing on the palate and a clean mineral finish. The perfumed but elegant nose shows a predominance of tropical fruit such as passion fruit and fresh pineapple along with citrus notes of pink grapefruit and a floral touch recalling orange blossom on the back. The palate is medium bodied and smooth, with very vibrant, refreshing acidity and a mineral sensation that lends juiciness that lingers long on the finish. The nose is very aromatic with aromas of red fruits recalling strawberries and tart cherries in liqueur. Fragrances of wild flowers and violets deliver the illusion of sitting in the forest shade. The palate is juicy, with very balanced acidity and the sweetness of round, ripe tannins. The generous and elegant mid-palate accentuates all of the sensations perceived on the nose, and the finish is remarkable and pleasing. The nose shows a predominance of blackberry aromas with notes of latte coffee and an interesting floral component. The palate is well balanced and ends on a long finish. Predominance of ripe red and black fruit aromas such as strawberries, plums, and fighs on the nose. Notes of crème de cassis intermingle with sweet spices such as nutmeg and black pepper. In palate, the wine stands out for its well-balanced acidity, medium body, and incredibly smooth tannins. The moderately persistent finish echoes the notes perceived on the nose. Twins Red Blend combines our 4 most successful varieties every year. The structure and complexity of the Cabernet Sauvignon is very well intertwined with the freshness of the Tempranillo, the volume and silkiness of the Syrah, and the texture and chromatic intensity of the Carmenère, and all together allow us to offer a delightful blend of two Colchagua terroirs-Apalta and Marchigüe in every bottle. The complex nose offers outstanding aromas of ripe black fruits such as figs and blackberries complemented by notes of crème de cassis, while spices such as cayenne pepper appear over a back of dark chocolate, which masterfully envelopes subtle aromas of leather and tobacco. The palate with perfectly rounded tannins that trigger an explosion of the fruit on the mid-palate. Montes Folly is an adventurous wine of exceptional quality. Its grapes are grown on the steepest, highest slopes of our vineyards in Apalta, Colchagua Valley. For that reason, they deliver more colour, tannins, and flavours, making Montes Folly richly complex and powerful. Grapes are hand-selected and sorted on special selection tables. Montes Folly has been recognised as the best Syrah of Chile. This superb wine represents a whole new dimension for Carmenère, the long-lost grape variety that recently resurfaced in Chile after being presumed extinct in Bordeaux, its original home. 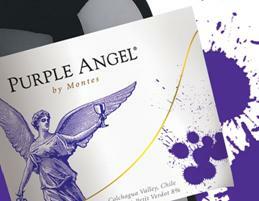 Purple Angel, has been recognised as Chile's best Carmenère. Critics all over the world have named this wine a "wine from another planet". The production of Montes Alpha M is extremely limited and vintages are only released if our head winemaker, Aurelio Montes considers the quality of the wine to be of a good enough standard. Production starts by selecting individual grapes at harvest time. This wine, from Colchagua Valley, is one of the best and most awarded Chilean wines. 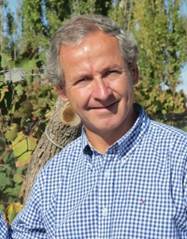 The first activities at Montes began in 1987 when two partners with great illusions, Aurelio Montes and Douglas Murray, both holding long-standing experience in the wine industry, were certain Chile could improve on the quality it was producing at the time. It seemed as if the large and medium-scale vineyards were satisfied with limiting their distribution to local supermarkets. 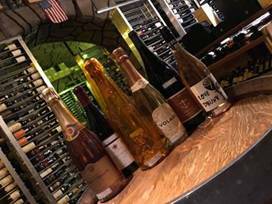 They certainly knew how to produce premium wines, but didn’t feel up to it, they were satisfied with the niche markets they had attained, which was certainly broad, although small. 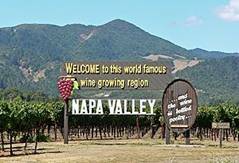 In 1988, another two original partners joined in, Alfredo Vidaurre and Pedro Grand, each providing their qualified, complimentary views, and thus, Viña Montes was formally born, initially under the name Discover Wine Ltda., a saga that has made Chile internationally known in 75 countries worldwide while providing extensive recognition and acclaim. The first Montes Alpha Cabernet Sauvignon, the premium wine that gave this winery its initial fame, was and still is a very different wine to what was then in vogue. 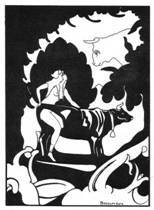 Concentrated, complex and solemn, it was an immediate success and proved they had chosen the adequate niche: quality! Montes Alpha Cabernet Sauvignon 1987, became the first ever premium Chilean export wine and it opened for Montes and for Chile, a path other wineries quickly followed. Other wines followed the Montes Alpha range: a Chardonnay, Merlot and a Syrah. They have preferred to maintain the Montes Alpha line concentrated exclusively on these four wines which “jointly” represent the highest premium brand exported in its category, these are wines geared towards specialized wine stores, restaurants and hotels: a niche that leaves a mark and provides reputation. 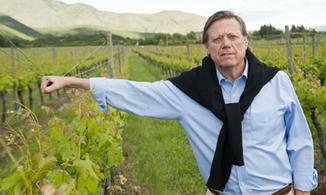 Montes had its mindset to create better Chilean wines, an obsession. Montes then, lead the way venturing into the Apalta Valley and mountain slope plantations. Montes constantly sought quality, and became again a pioneer in Syrah plantations in Colchagua. Results surged faster than expected: the first ultra-premium (super-Chilean or icon) wine, the Montes Alpha “M” 1996 (a classic Bordeaux) was followed by another which has become a cult-wine, the Montes Folly 2000 (minimum production of 100% Syrah), and finally the first Chilean Carménère (over 75%) launched in May, 2005 and Purple Angel (Carménère 92%). Each and everyone became an immediate success for the specialized press and for Montes loyal consumers. Montes` blessing has been the achievement of everything they set out to do. In 2005, they became the fifth Chilean bottled wine exporter; they achieved this on their own without seeking joint ventures or foreign consultancies of any kind, as has been the case of other wineries in the “highest category”. The folks at Montes are proud to state that Montes has been extremely successful and that this has been the result of a group made up by Chileans, 100%, and the result of their own hard work. Montes has provided Chile with enormous gratification and has objectively become the bench marker for the majority of new Chilean vineyards. This status, as well as the achievement of concentrating on quality has been one of their major contribution to the Chilean wine industry. When Montes began (as Discover Wine Ltda.) there were only fourteen wines exporting vineyards in Chile, today the Chilean central bank has over two hundred registered wine exporters. The Cabernet grapes for this wine come from the Apalta region of the Colchagua Valley. This is one of the best regions in all of Chile for Bordeaux varietals and although Montes has received numerous accolades for their wines throughout the years, it was their neighbor to the south Casa Lapostolle that was the first to have their wine named #1 wine of the year in the illustrious Wine Spectator’s top 100 list. The quality of the wines from Chile is what got me there in 2008 and Montes was one of the many wineries that I visited on my travels to Chile. In my opinion it was only bested by the neighboring Casa Lapostolle. Both wineries showed tremendous potential and they are the ones to watch as Chile begins to emerge as a world power in the fine wine arena.